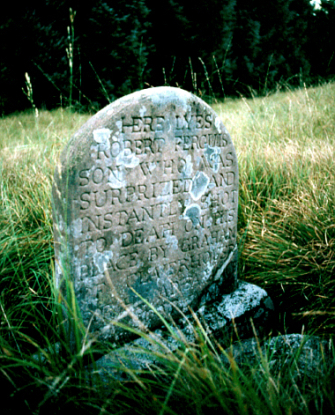 Robert Fergsusson was one of four Covenanters shot at Auchencloy by John Graham of Claverhouse and his troops. As it was not known where he belonged, he was buried on site. robert Fergusson's gravestone is a small sandstone headstone located adjoining the large obelisk in memory of the Auchencloy martyrs.